My friend and owner of Goodnight Bakery was making cupcakes for a birthday party and I came to help her and also to learn the process. 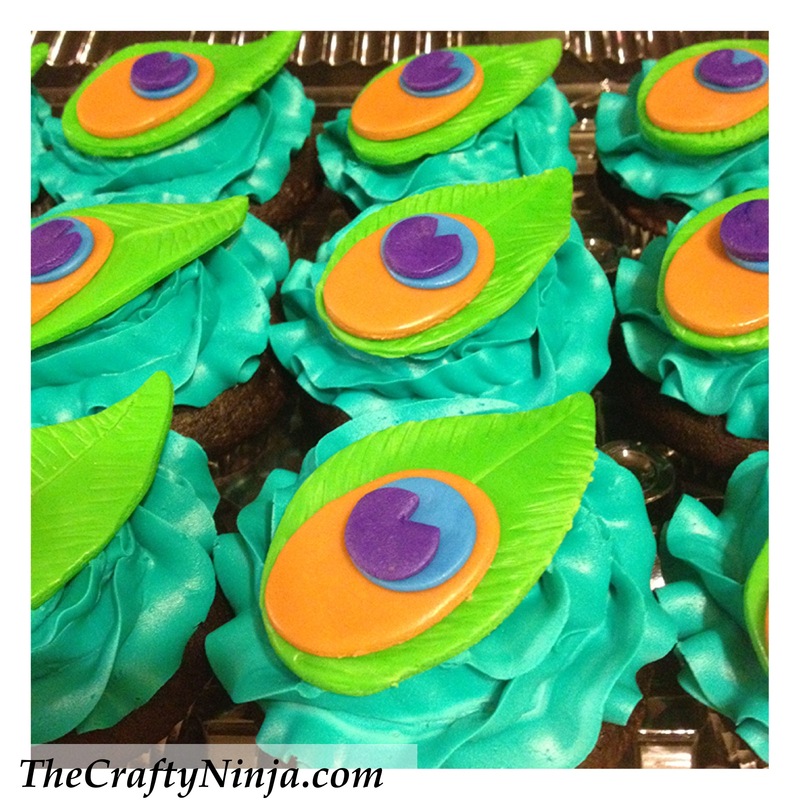 I had taken a couple of Wilton cake decorating classes, here, and was interested in learning more about cake design. 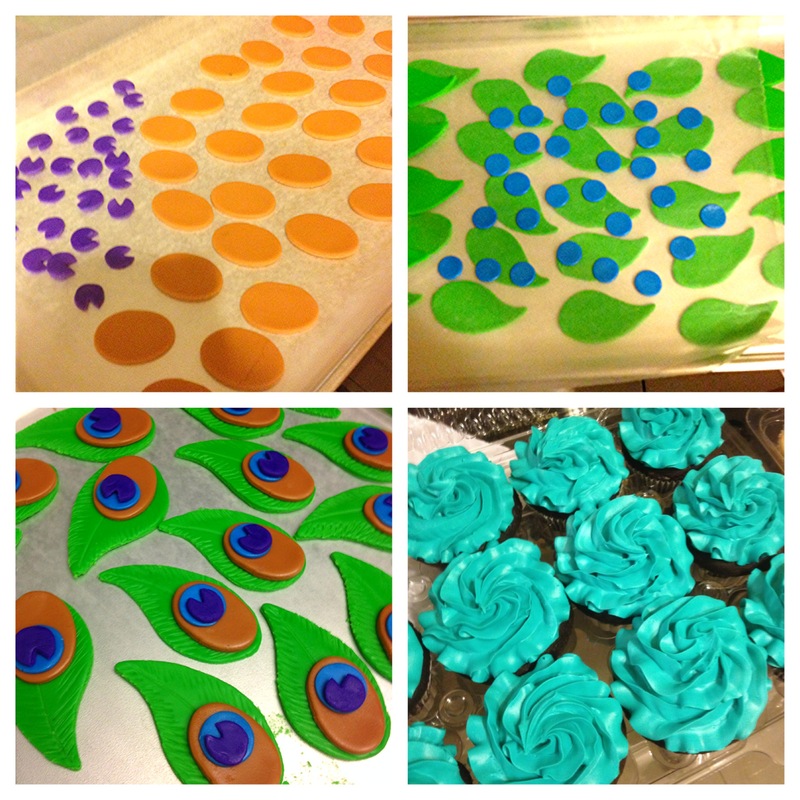 To begin we mixed the colors using marshmallow fondant and icing colors. Next we rolled out the fondant and used shape cutters to cut out the different shapes, and also made our own shapes. We added feather details to the feather shape and put it all together. 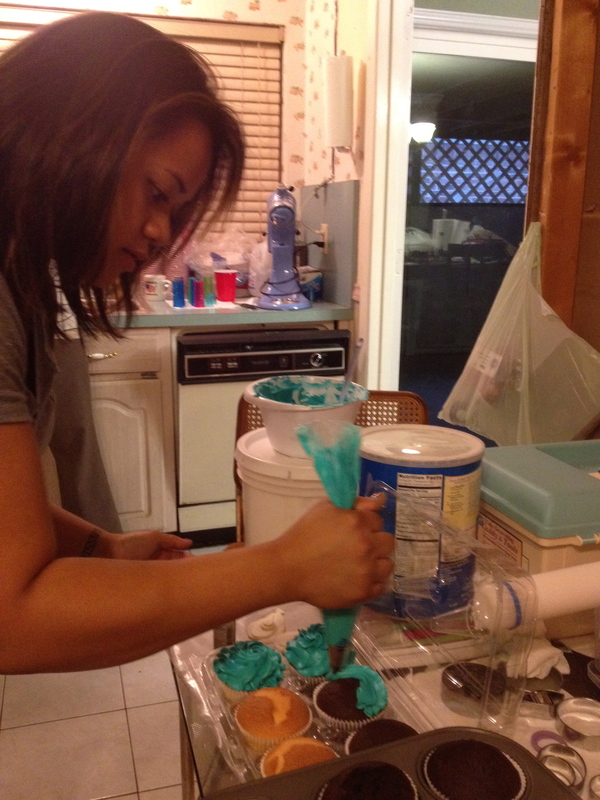 Janie mixed the butter cream color and iced all the cupcakes in this gorgeous teal! I had so much fun learning and creating with her. Go and order some customized cupcakes from her, contact here!